Hi, I am Elena, the founder of flwr. Since early childhood, I have been attracted to art. Exhibitions, art galleries and theatres have played a big role in my life. I always knew that my profession would be related to creating beautiful things. My journey has ultimately led me to floristry. After working with some of the best flower stores in Auckland, I decided to take a leap and started my own studio. That’s how flwr was born. I always wanted to create bouquets in my personal style focusing on the flowers themselves rather than the bundles of greenery to make bouquets look bigger. While I learn and gain inspiration from many talented florists around the globe, I retain my own style. My love for experimenting is manifested in my bouquets. I love to add an unusual touch, like berries, small fruits, and rare types of flora. To me, bouquets are not just a bunch of flowers but a sensory experience where everything matters: the visual aesthetic, notes of a scent and even touch. 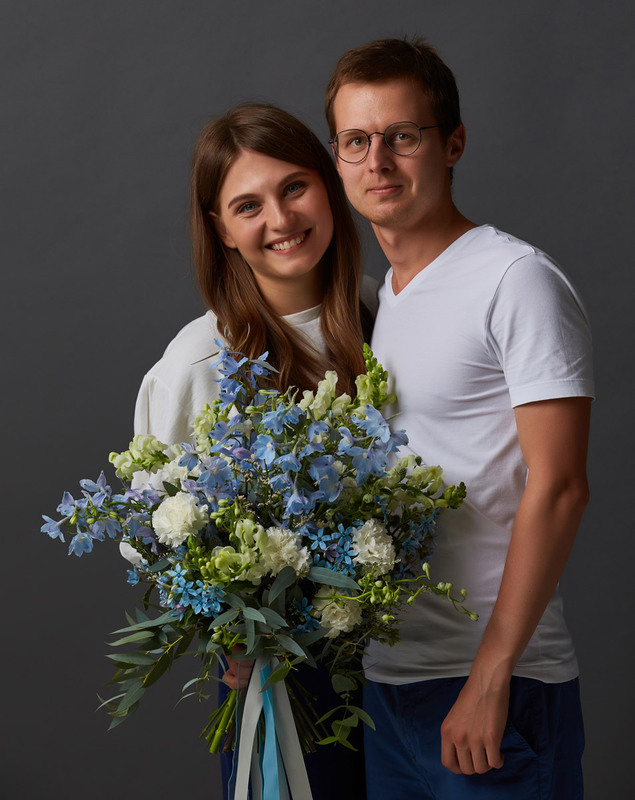 flwr also has a second parent – my husband Artem, who helps me with the technical side of the business. He is a web developer also running his own small studio and has built this beautiful website for us. We share and enjoy growing flwr together. Artem and I are also both very keen on photography and video production as a hobby. We are constantly learning and striving to make our galleries top quality.